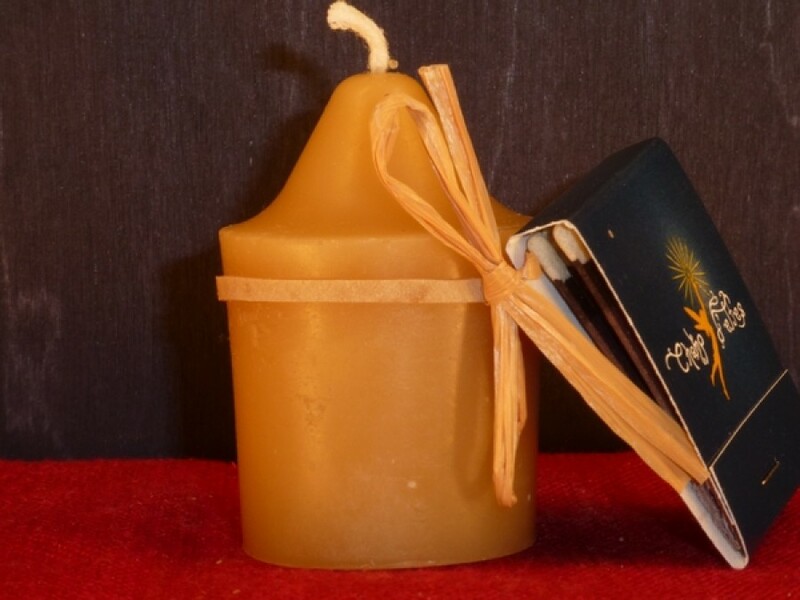 Set of 4 votive beeswax candles with pointed tips. 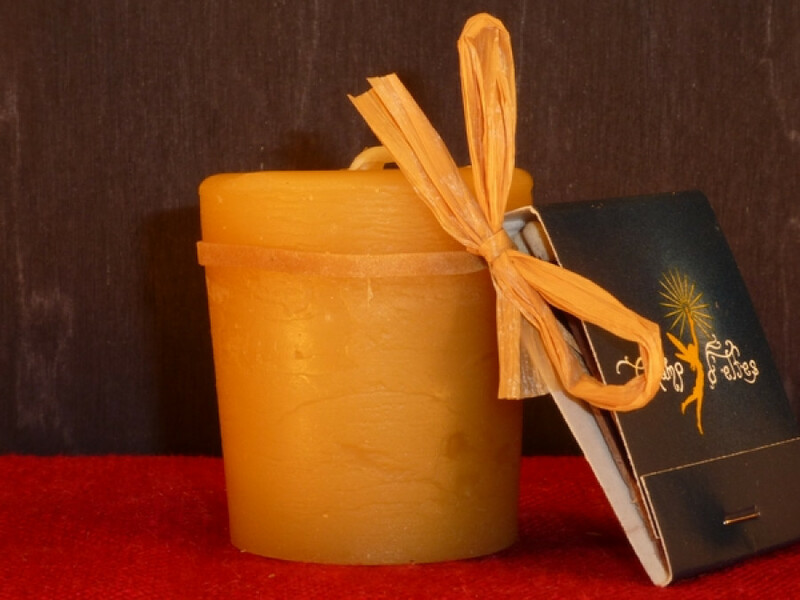 Each candle lights up for about 4,5 hours and has many benefits. Available in two shapes: flat or pointy top.